This operation is performed primarily to prevent you having a stroke. Around 25% of strokes are caused by furring up of the main artery which carries blood to the brain. This is the carotid artery, which runs on either side of the windpipe. These strokes can be prevented by performing an operation known as a carotid endarterectomy, which involves cleaning up the fur in the artery. A cut is made in the neck and the carotid artery is exposed. The blood flow through the artery is stopped temporarily, a cut is made in the artery and the fur is removed. 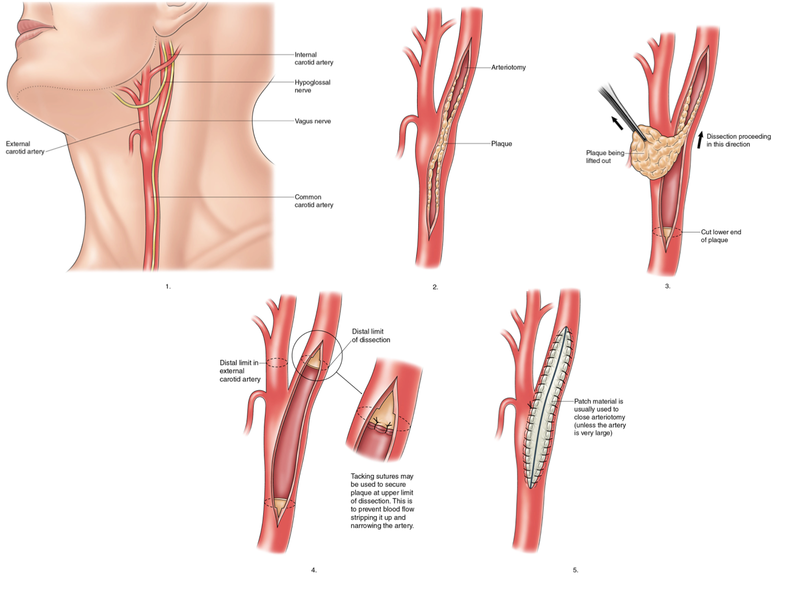 The artery is then closed up and the blood flow is restored. The operation can be done under both general and local anesthetic but our preference is to do it under local anesthetic. 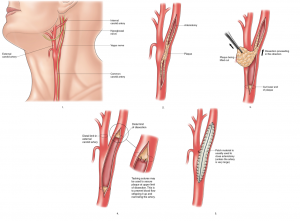 There have been numerous attempts to use stenting without showing any particular benefit over surgery. It is a very effective and safe operation from which the recovery is short. Most people stay in for 24-48 hours and have recovered in 2-3 weeks.